For this CD we found and used the stereo master tapes of the original session that al- lowed us to publish every recorded note of this beautiful OST (52:26). 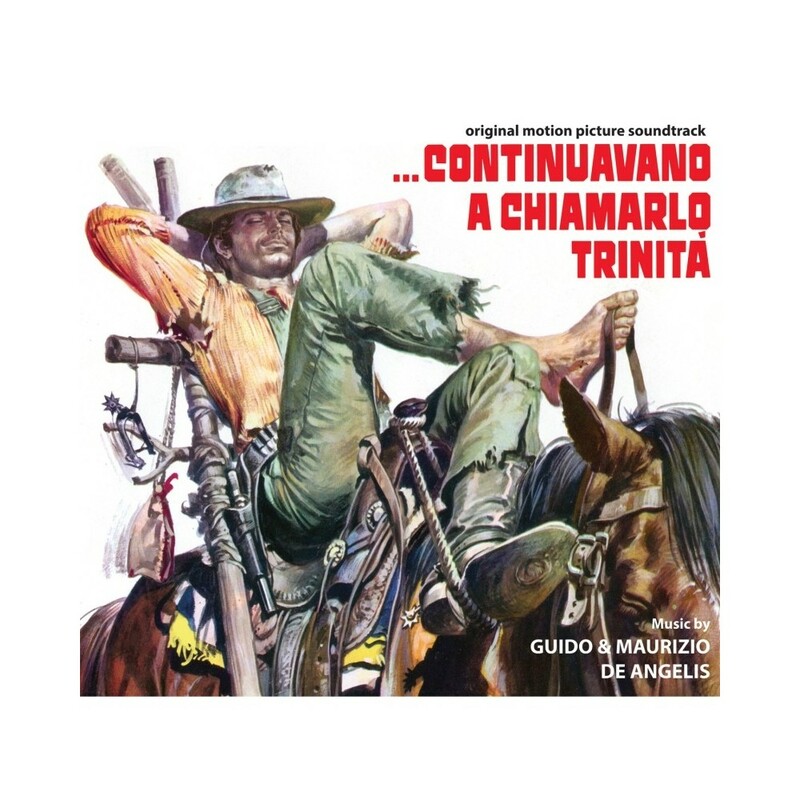 This soundtrack was the first by Guido and Maurizio De Angelis for a film with Terence Hill and Bud Spencer, with the editing created for the CD presents nearly faithfully the film se- quence (Tr. 1-18), in the second part (Tr. 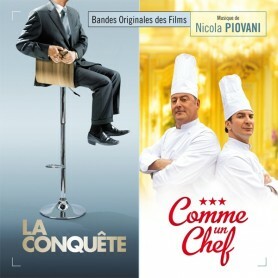 19-25) the not synchronised versions were included in the movie versions. 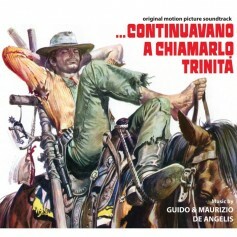 The De Angelis brothers composed a main theme “Trinity stand tall” (Tr. 2), which anticipates the style that will always be used in the next film with the Dynamic Duo, revisited with variations in Tr. 3, 5, 6, 10, 12, 18 and 20, with guitars and wind instruments with fresh Western taste, forming a melodic theme to emphasise the infatuation of Trinity for the beautiful daughter of the poor immigrant (Remember) that we find in Tr. 13, 16, 19 (version published in 45RPM RCA 74-16157) and Tr. 25 in the most complete version ever published. Another re- curring theme in the western musicality but with a touch of beat, is present in the Tr. 7, 8, 9 and 23 that highlight the funniest moments of the film. In describing instead the convent and therefore the sacredness of the place, the De Angelis composed a theme for organ and choir in Tr. 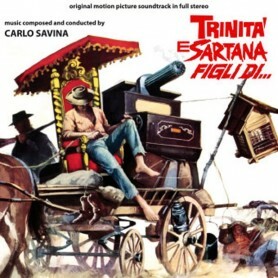 15, 17 and 24 and various tracks to remind the listener of a ‘purely western setting represented by harmonicas, guitars on the tracks 1 (intro of the film), 4, 11, 14 and 21 and the inevitable saloon piano Tr. 22.